Stephen Edwin King Research Papers look at a biography on one of today's most popular and best selling writers. 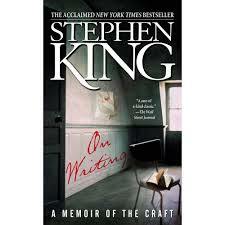 Stephen Edwin King was born in Portland, Maine, on September 21, 1947, at the Maine General Hospital. Stephen, his mother Nellie, and his adopted brother David were left to fend for themselves when Stephen’s father Donald, a Merchant Marine captain, left one day, to go the store to buy a pack of cigarettes, and never returned. His fathers leaving had a big indirect impact on King’s life. In the autobiographical work Danse Macabre, Stephen King recalls how his family life was altered: “After my father took off, my mother, struggled, and then landed on her feet.” My brother and I didn’t see a great deal of her over the next nine years. She worked a succession of continuous low paying jobs.” Stephen’s first outlook on life was influenced by his older brother and what he figured out on his own. While young Stephen and his family moved around the North Eastern and Central United States. When he was seven years old, they moved to Stratford, Connecticut. Paper Masters writes custom research papers on Stephen Edwin King and look at a biography on one of today's most popular and best selling writers.